Our repair technician on-site can take care of many minor to medium level repairs. 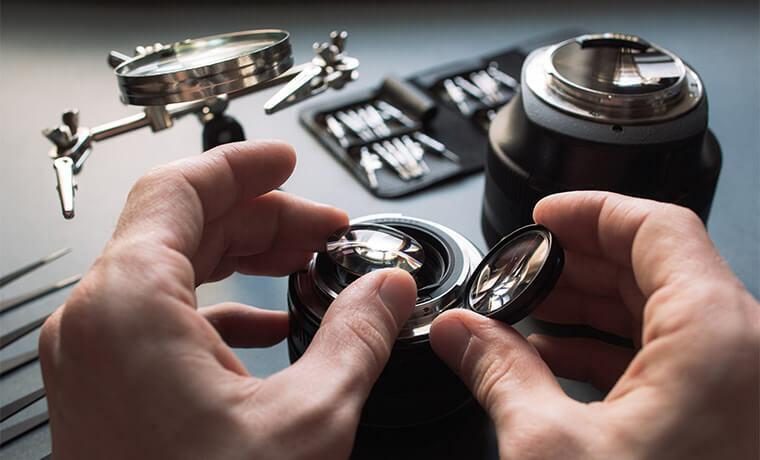 We can handle all factory and warranty repairs for most brands (a bill of sale from the original store is necessary unless the product was purchased at Burlington Camera *shipping fees extra. We keep parts in stock for many brands, and can also order a part if the job demands it! We keep receipts for all the products we sell for the duration of their warranty and for some time beyond. This service is especially useful for insurance replacement or value appraisals.